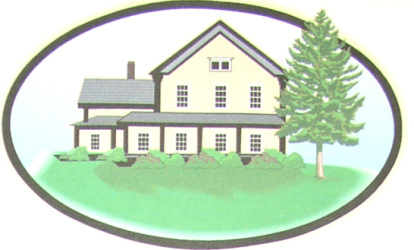 Welcome to BRANFORD HOUSE ANTIQUES, home to Fresh Pickens (recently found objects), The Antique Poet (bygone Americana with provenance in prose & rhyme), This Olde Office (specializing in antique office technologies) and Thor's Vintage Bait & Tackle Shop. Thor Konwin has been a picker for more than 30 years. Now he winters in Southern California, summers in New England and spends most of his time traveling the country in search of antiques and the stories they hold. 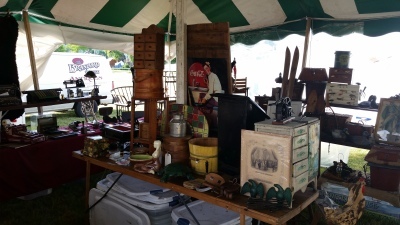 He attends and exhibits at the largest antique shows and flea markets in America, visits local estate sales & auctions, goes to barn & garage sales and anywhere else he might find a special antique and/or story. Thor does all his own restorations, photography and historical research. Branford House is on the road and while it was once a beautiful and scenic Vermont dairy farm and antique store it is now a cargo van, trailer and this web site. It is a always a good time to sit in your chair and scan our web offerings. You also might want to check out our newsletter and leave your email address to be sure you don't miss any future updates. All items are sold only by Branford House Antiques and not by individual dealers and are sold on a first come first served basis. We allow returns (for any reason) within the first seven (7) days of receipt. Customer must pay all return shipping & handling and the same item originally sent must be the same item received back and in the exact same condition it originally left Branford House. Otherwise, all sales are "where is and as is" and are final. We are happy to send photos and to answer questions via email. Often the same photos we exhibit on the web do show more detail via email so please do not hesitate to request them. Simply click on one of the shops (left of this screen) to start viewing our galleries full of antique and vintage items.